This contribution is made to gornanization/1k, gornanization/1k-table and gornanization/1k-client projects. If you would like to find more info - I strongly recommend reading this post first. While developing thousand card game logic I have forgotten about important rule. 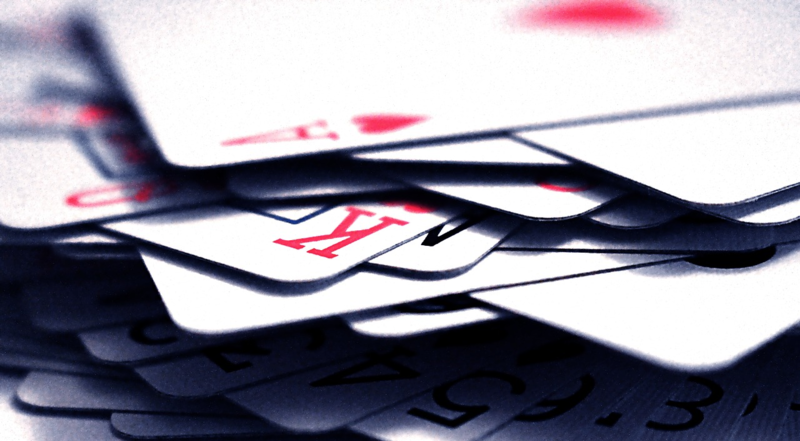 After dealing cards, each player cards set has to have at least 18 points in cards. 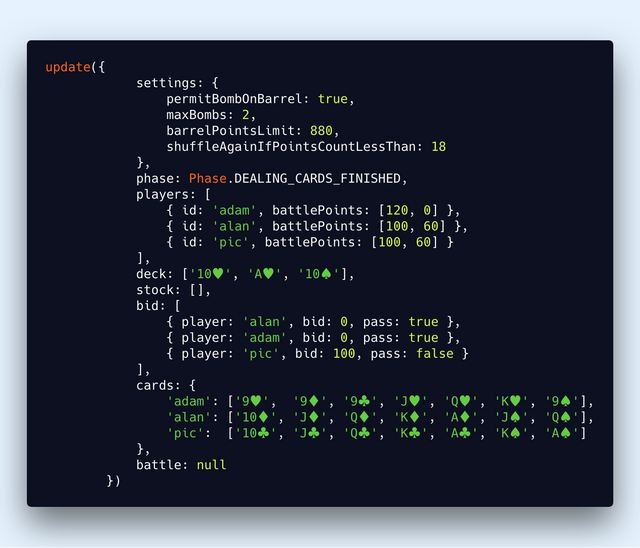 A new function playersHaveEnoughtCardPoints takes a game state as an argument, and returns boolean value representing whether we can continue a game, or force re-shuffling cards (source code below). So, if players have enough card points, let's move to BIDDING_START phase, othewise, move to a new state (NOT_ENOUGHT_CARD_POINTS) which eventually forces cards to be shuffled again. The feature has been also covered with unit tests, both on unit and integration level. 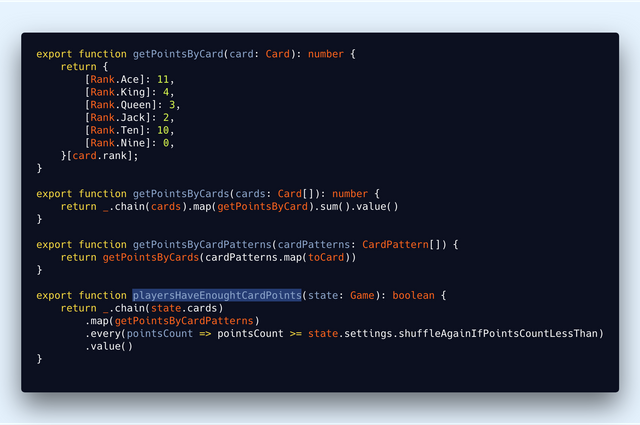 When a new state is applied, we do perform short delay and eventually move all cards back to a deck. Not a big thing, but it helps me testing in-browser. Sometimes it's not easy to track current state of a game, so a new component, Logs has been created. 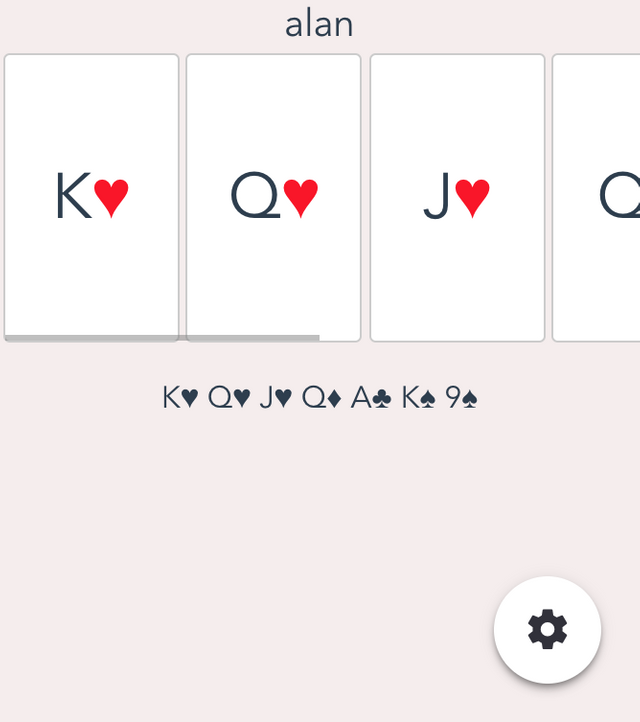 It displays last 7 activities, so then players can quickly find out, whose turn is it, or which of the opponents has thrown a given card. An example below. This forces the game state update. After doing so, we can refresh a page, so then a new game state will be rendered. For testing purpose. Remember the first described feature, Not enough points in cards...? The game state which you can see above does reproduce such case, so we can observe how does the game behaves. Look at the game phase, we have DEALING_CARDS_FINISHED state active. As dealing cards phase is finished, we have card sets assigned to the players (see cards property, 7 cards for each player) as well as to the deck (see deck property, 3 cards over there). This number (8) is less than 18 (as specified in settings.shuffleAgainIfPointsCountLessThan) so the game logic will reshuffle cards again, so we can verify, whether a new feature works properly for table client app! More details? See PRs linked above! Hey @adasq! Thank you for the great work you've done!